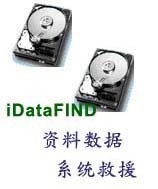 ITPro iDataFIND is looking for qualified candidates searching for challenging opportunities within the Computer Engineering discipline. ITPro iDataFIND is looking for enthusiastic personnel with hard working, highly motivated attitudes and vast experience in computing fields. We are currently seeking candidates with any of the following qualifications and/or computing experience to fill the challenging positions. BS degree or equivalent in Computer Science, Computer Engineering, Electronics and Electrical Engineering (with minor in Computer Science). Good communication skills, the ability to work independent and under pressure. Experience in the development of software using structured software design techniques. Sound knowledge in all Microsoft Windows Operating system. Knowledge in MAC, Linux and other Operating system is an advantage. Not less than 3 years working experience in related fields.